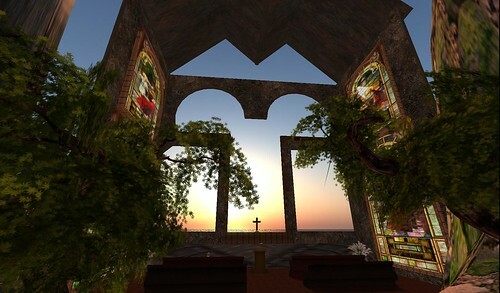 Last year, I built a small, hidden chapel right next to the ocean on WETLands. Not many avatars have discovered it as it is well-hidden. 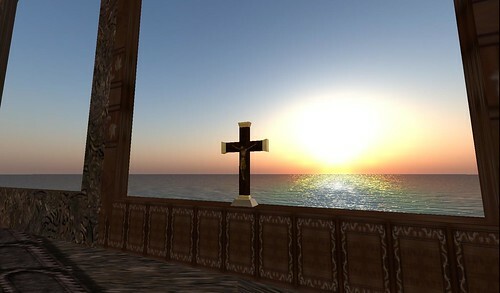 The church has large open windows facing the ocean, and at sunset, it is quite beautiful looking across the azure waters. I like to sit there and meditate and reflect on my day. My beliefs are my own, and I don’t preach as I respect all world religions. I hope that you can visit and just reflect and connect with your own soul.